The Christmas raffle organized by ept’s apprentices and employees raised 4,727 euros. 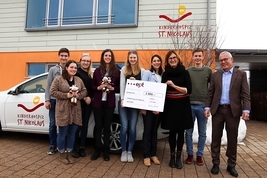 2,000 euros of that were donated to the St. Nikolaus Children’s Hospice in Bad Grönenbach in the German district of Unterallgäu. Another 2,000 euros were received by the mountain rescue team of Steingaden and Peiting. Finally, the Steingaden Middle School received a donation in kind in the form of a scroll saw valued at 727 euros. 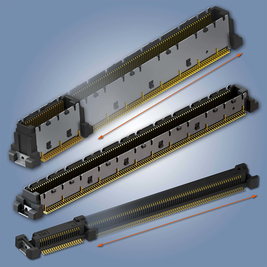 EC.8 – Easy-to-Use HighSpeed Connectors: That's the motto of the new ept HighSpeed edge card connector EC.8. Find out more in the following article. ept is again exhibiting at electronica, the world’s leading electronics convention. Our experts are free for consultations for visitors and interested parties who would like to have more information about our entire range of ept products within the printed circuit board and automotive sectors. Convince yourself of our wide range of solutions for your application and the outstanding quality of our products. 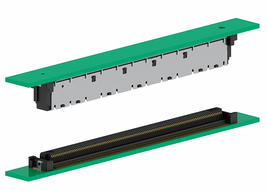 Phoenix Contact and ept are launching a new series of robust board-to-board connectors with 0.8 mm pitch. The jointly developed connectors will be shown at the world's leading fair for electronics, electronica, in Munich for the first time. How does surface coating on connector contacts work? Learn how surface coating works at ept GmbH. 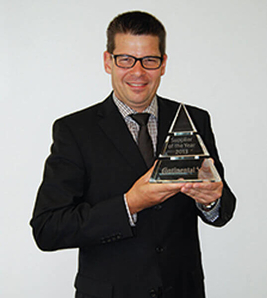 ept GmbH has been singled out as best supplier by the Continental Automotive Group. The ‘Supplier Day 2018’ served as a venue for the reception of the supplier award for outstanding achievements in the “Plastic and Rubber” materials group. Construction of a new expansion for ept GmbH in Peiting is underway. The connector manufacturer is increasing its working area by 4,600 m², spread over two floors. 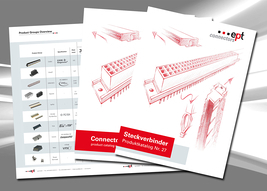 The new ept connectors catalog has arrived! The 27th edition of the ept connectors catalog just arrived hot off the press – and you can get your very own copy! All of the unit height and pin count combinations of the straight One27 connectors can be delivered to your doorstep within two weeks! Do you need reliable SMT PCB connections with a pitch of 1.27 mm, and do you need them fast? The straight One27® SMT PCB connectors from ept are now available with a shipping time of just two to four weeks. 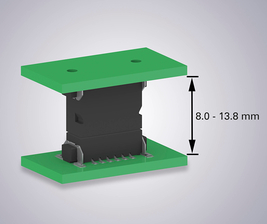 With a pitch of only 1.27 mm, they can be used to connect mezzanine PCBs. Are you already purchasing your 1.27 mm-pitch SMT connectors from another manufacturer, but are you needing to complement them with straight male or female connectors? 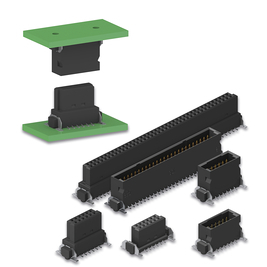 The One27® connectors are proven to be compatible with all currently available SMT connectors with a pitch of 1.27 mm from other manufacturers. Ept’s Colibri PCB connectors, which have a pitch of 0.5 mm, are already a reliable choice in COM express and high-speed applications up to 10 Gbps. Now, ept is looking to add a new, high-speed variant to the connector series. The new connector will be suitable for data transfer rates of up to 16 Gbps and beyond. ept’s Colibri PCB connectors, which have a pitch of 0.5 mm, are a reliable choice in COM express and high-speed applications up to 10 Gbps. 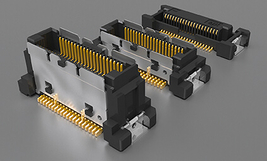 In response to customer demand, these high-speed connectors are now also available as a Heavy Au version for deployment in challenging environments. 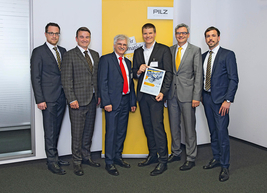 Automation company Pilz announced the recipients of the Pilz Award and lauded connector manufacturer ept GmbH, based in Peiting, Germany, as one of the five suppliers of the year for 2016. Thomas Pilz, managing director at Pilz, presented the award to Claus Guglhör, Sales Director and shareholder of ept GmbH, at the awards ceremony. In so doing, Thomas Pilz paid tribute in particular to the excellent level of quality of the products that ept supplies, the superior on-time rating for deliveries, and the spirit of cooperation with ept. Electronic developers are frequently tasked with adapting parallel PCB connections to a wide range of spatial requirements. 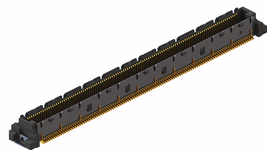 With ept’s One27® SMT PCB connector, which has a pitch of 1.27 mm, the distance between any two stacked PCBs is variable by up to 5.8 mm. 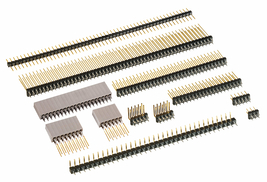 Effective immediately, all versions of the Colibri® high-speed connectors with a pitch of 0.5 mm are now also available with the pin counts 40, 80, 120, 160, and 200. 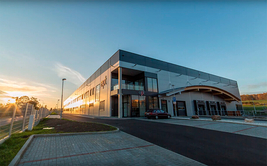 In Habartov (Czech Republic) a new ept plant with 5000 m² production area and 1000 m² storage area and office space is built for the connector production. 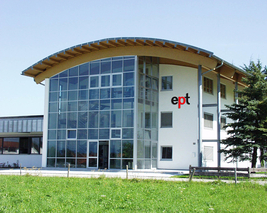 ept GmbH, headquartered in Peiting, Bavaria, Germany, has been a family-owned business for more than 40 years, supplying not only the automotive industry, but also the industrial and communications sector with PCB connectors. All products are produced in-house, as ept GmbH is capable of handling all important manufacturing steps. These include product development, project planning, tooling and equipment, production (punching, electroplating, assembly, etc.) and also the provision of a comprehensive “all-in-one” service. 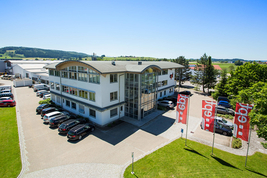 With its plants in Germany, the Czech Republic, the US, and China, ept GmbH is also a major player in electrical connectors around the world. 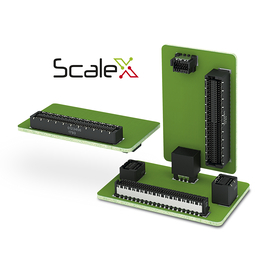 Assemblies can be designed with more flexibility thanks to a variety of model heights, up to 80 pins, and various connection options. 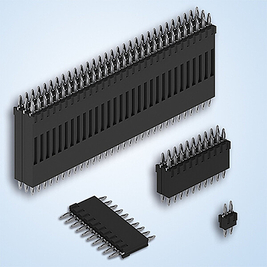 The connector specialist ept guarantees to its customers the long-term availability of VarPol pin headers and female sockets with a pitch of 2.54 mm. For years, hardware developers have sworn by the product, which allows you to reliably and flexibly connect circuit boards together or connect a cable to a circuit board. Are you looking to speed up your COM Express application? Colibri® connectors from ept deliver first-rate signal integrity even at 10 Gbps, making the COM Express connector system the top choice for your applications at these speeds and higher. 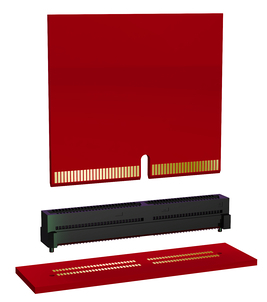 They are ideal for PCI Express Gen3 applications with 8 Gbps or 10 Gbps Ethernet (10GBase-KR). 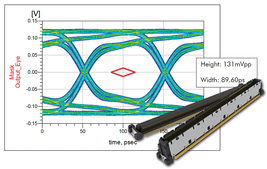 S-parameters are available on request from ept for use in simulating your proprietary designs. 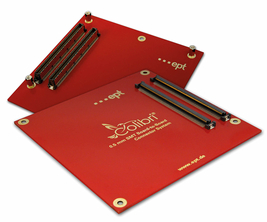 After adding a 440-pins version to the COM Express connector system Colibri®, ept now releases the Colibri Plug for 5 mm board-to-board distance. 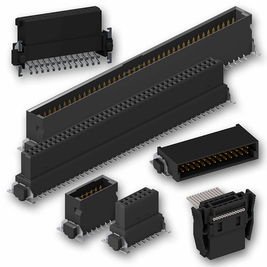 ept is introducing a new board-to-board connector range based on the press-fit system: flexilinkb-t-b connectors provide high-quality, non-pluggable connections between PCBs at a pitch of 2.54 mm, making use of the successful 'Tcom press' press-fit system. 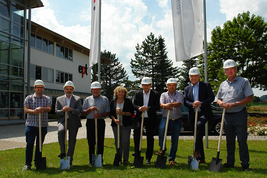 A groundbreaking ceremony led by the Guglhör family back in 2012 marked the symbolic beginning of the expansion of ept’s Buching plant. 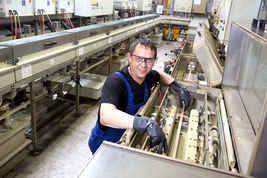 The founder, Bernhard Guglhör, and his son Thomas Guglhör, who is currently president of ept, made this move in response to increasing demand and a growing influx of orders for connectors. 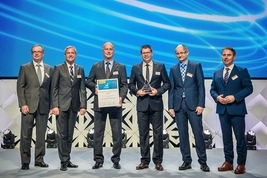 ept GmbH received a Supplier Award from the Continental Automotive Group for its outstanding achievements in the area of ‘electromechanics/plastic-mechatronics.’ The award was presented to Thomas Guglhör, President of ept GmbH, by Dr. E. Degenhard, CEO of Continental AG, on 17 July 2014 during a suppliers conference in Prague.